When you can’t decide what type of dessert you want. 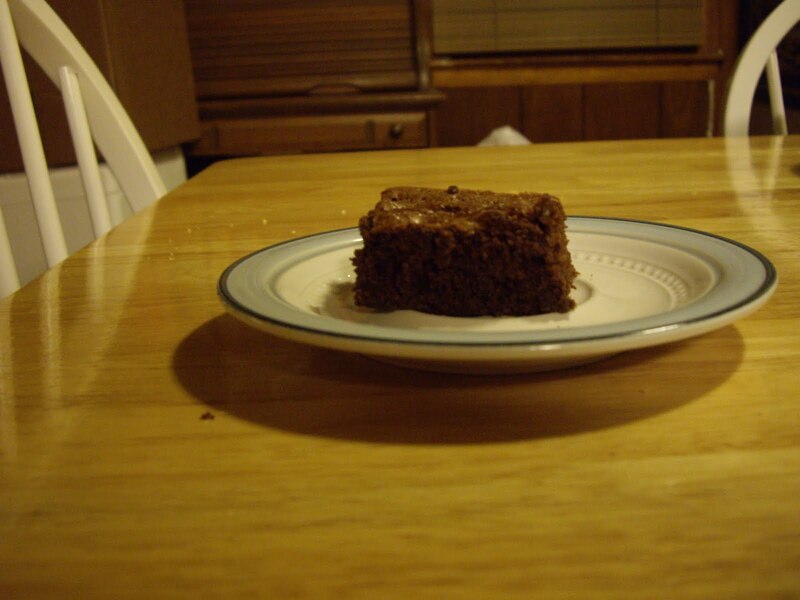 It’s cheesecake and a brownie. Lightly grease a 9″x13″ baking pan. Make the cream cheese swirl first. Add the sugar, vanilla extract, and almond extract and blend until smooth. Stir in the sour cream and the eggs, mixing until everything is combined. Set to the side while you make the brownie batter. Put the butter in a microwave safe bowl. Melt the butter in the microwave. Add the sugar to the butter and stir. Reheat slightly in the microwave to dissolve more of the sugar. Not long enough to let the mixture bubble though. Stir in the cocoa powder, salt, baking powder, and vanilla extract. Whisk in the eggs until smooth. Spread 3/4 of the brownie batter in the greased pan. Spread the cream cheese swirl over the brownie batter in the pan. With a spoon, drop the remaining brownie batter over the cream cheese swirl. 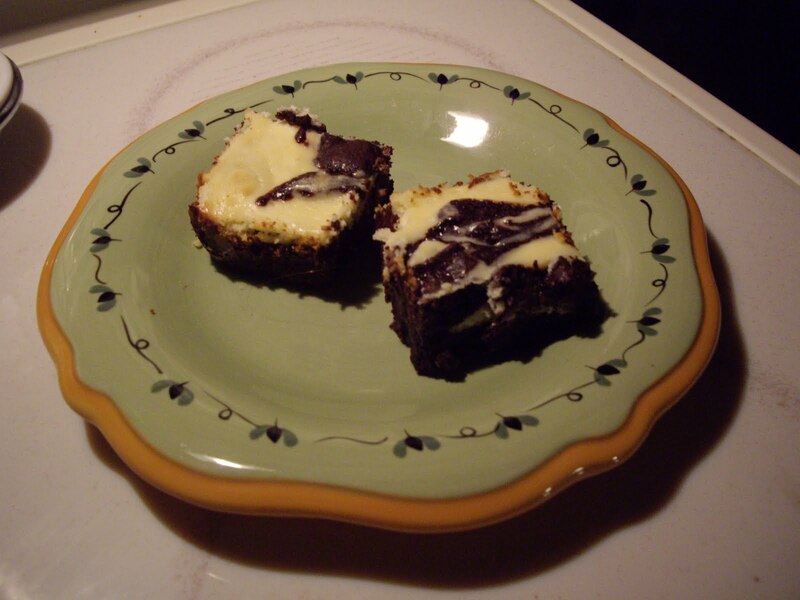 With a knife, make swirls through the top layer of brownie batter and the cream cheese swirl. Bake for 35-40 minutes until the top is set and puffy. Check a few minutes before the first time given to see if it is done. Cover and refrigerate til serving. 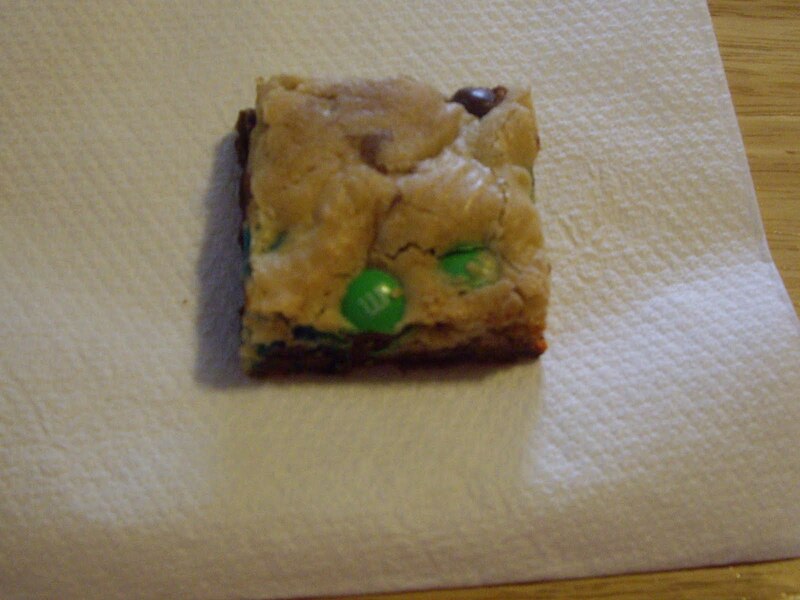 These bars are like a brownie and m&m cookies put together. Who could say no to that? Cream the 3/4 cup butter and sugars in a large bowl. Combine the 2-1/4 cups flour, baking powder and salt. Add that to your butter/sugar mixture. Remove half the batter and put in a separate bowl. Mix the melted butter and cocoa powder and add to one half of the batter. Spread that into the bottom of your baking pan. 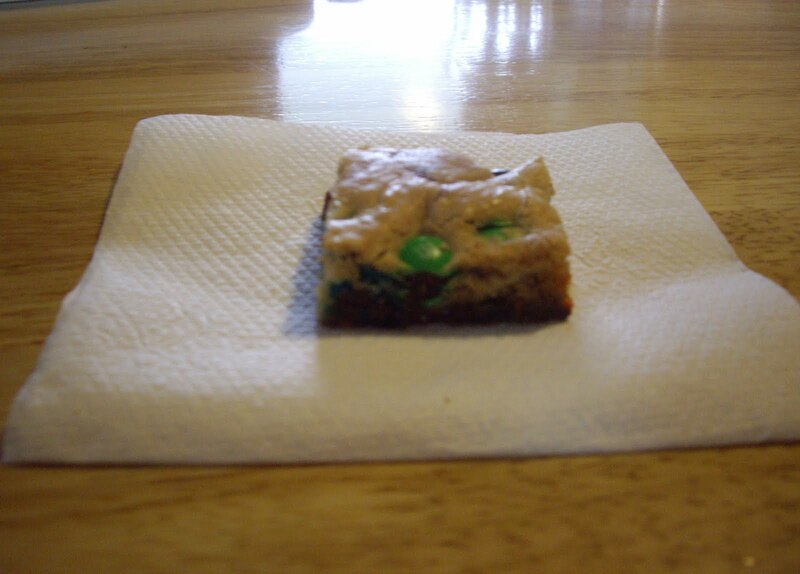 Stir the 1/4 cup flour and 1/2 cup m&ms into the white batter. Spread that batter over the cocoa layer. Sprinkle the remaining 1/2 cup m&ms over the top of the bars. 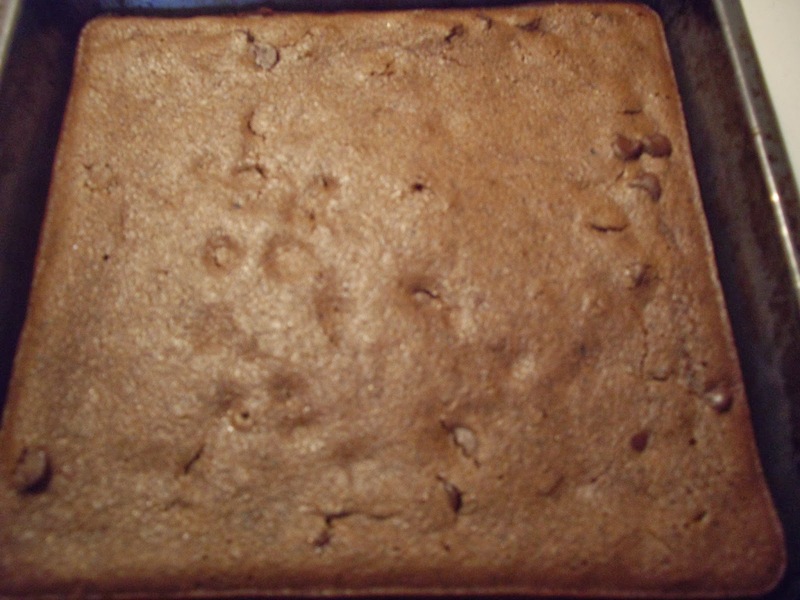 Bake for 25-30 minutes or until edges start to pull away from the side of the pan. 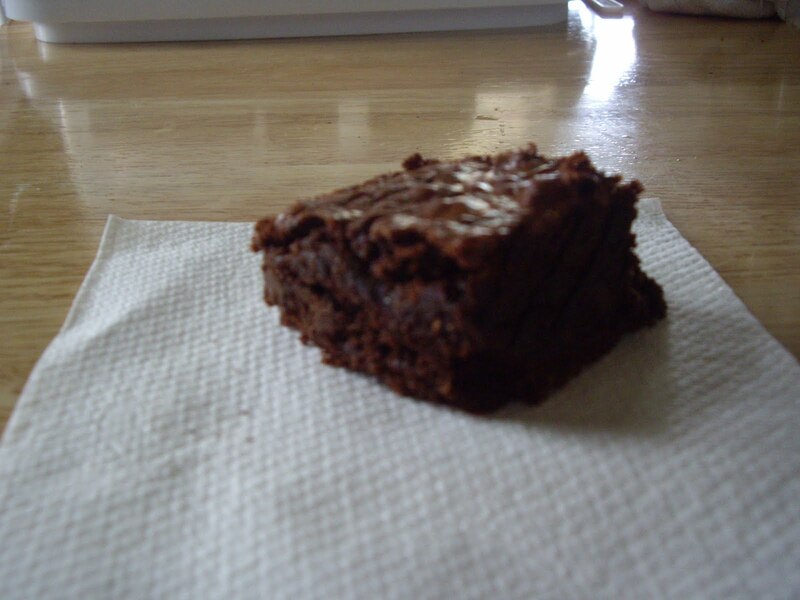 These brownies are extremely fudgy and yummy. And you’d never guess that they are made with whole wheat flour. For the best texture, let them sit overnight before cutting and serving. Melt the butter in the microwave or on the stove. Add the brown sugar and stir in. Heat or microwave it again, just until bubbly. Stir in the cocoa powder, baking powder, salt, optional espresso powder, and vanilla extract. Let the mixture cool down to lukewarm. Add eggs one at a time to make make they are blended in well. Add the flour and chocolate chips and stir until smooth. Spread the batter into the baking pan. Bake for 30 minutes. When testing with a toothpick, crumbs will cling to the toothpick. Cut into bars after letting them sit overnight.